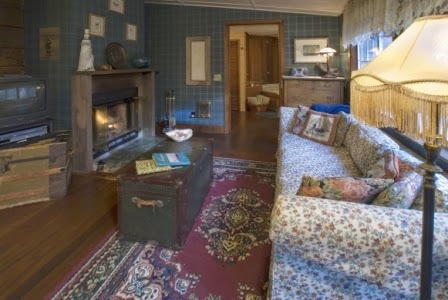 The Timbers Suite at Sandlake Country Inn showcases the warmth of wood in our most rustic room. 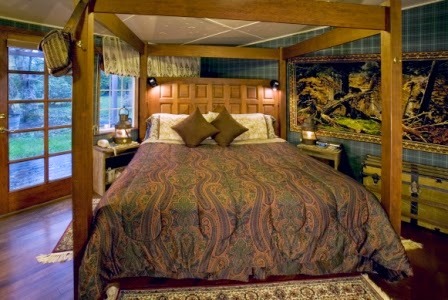 A large suite with a luxurious king wood canopy bed. 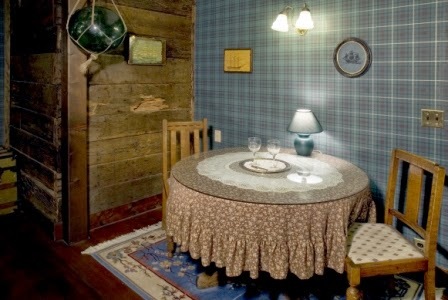 In the Timbers Suite, you experience the history of our historic farmhouse. In 1890, the Struan, a large clipper ship, shipwrecked on a nearby beach. The cargo of that ship were massive 3"x12" timbers which were being transported to Australia where they would be used to build a bridge. The ship came aground and broke apart. The 3"x12" bridge timbers were strewn over the beach and became the building materials which were salvaged by a homesteader. The Timbers Suite will take you back in time, yet leaving you with appreciation of modern luxury. 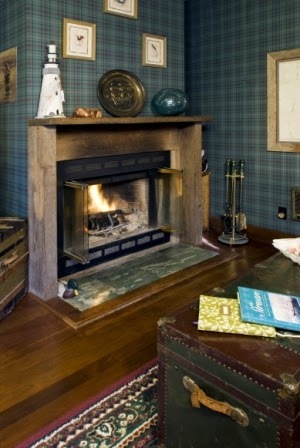 A comfortable sofa sits in front of the real wood burning fireplace. 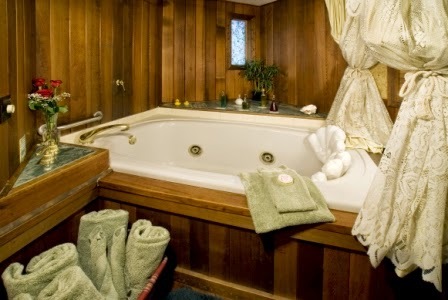 No need to worry about bringing wood, Sandlake Country Inn supplies everything you need for that romantic experience. Enjoy watching tv or movies on the 32" flat screen tv with cable, dvd/vcr player and chromecast. Choose from our expansive movie collection, bring your own or stream from your mobile device. Oh, what can we say about this double Jacuzzi tub except you really need to come and experience it for yourselves! It really DOES fit 2 people. We provide you with high end, all natural luxury bath products. Bubble baths, multiple lotions and glycerine soap. There is also a shower in this amazing tub. Snuggle in front of the wood burning fireplace. We provide the wood and do the initial set up for you. Just light for some instant romance. The Timbers Suite also has electric heat if you prefer it. 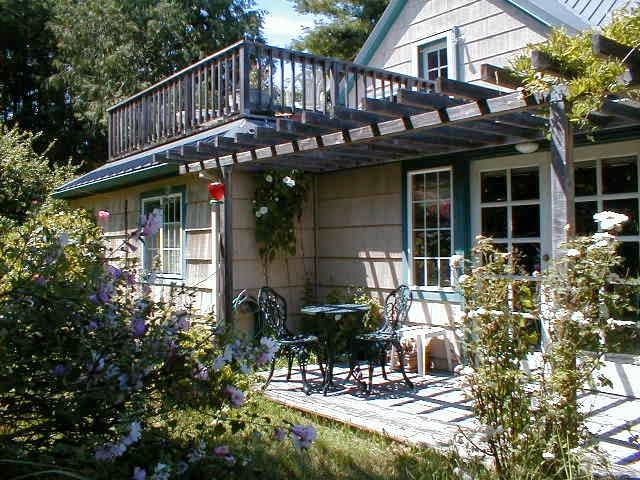 Sandlake Country Inn is a bed and breakfast, but not in the traditional style. Our rooms are set up for privacy and romantic getaways. We don't have large common areas or a dining room. We saved most of our sq feet for our large guest rooms. Each morning of your stay, a large multi-course hot breakfast and your hot beverages/juice will be delivered to your door. No need to get dressed, comb your hair or talk to anyone! We deliver your breakfast and beverages to your door. We knock to let you know it's there and we leave. You can relax in your Sandlake Country Inn robes and slippers we provide during your stay. Once you've checked in, your privacy is our utmost concern. We're here to help with anything you need or questions you may have, but we innkeepers honor your privacy. The wood walls in the Timbers Suite are the original salvaged 3"x"12" bridge timbers from the shipwreck. 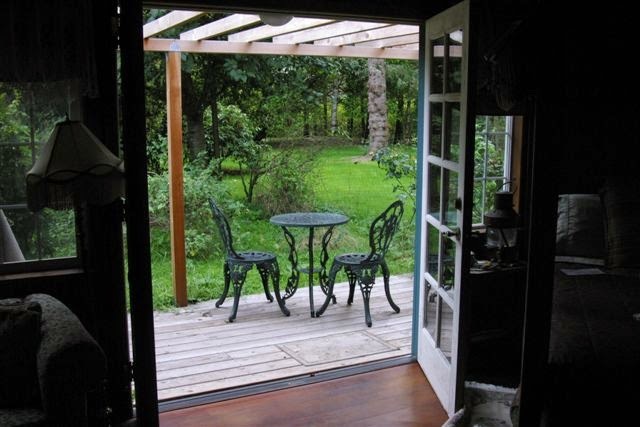 The Timbers Suite at Sandlake Country Inn offers a private entrance from the garden. Enjoy relaxing with your morning coffee and frequently you may be accompanied by deer munching nearby. Our rural setting provides opportunities to view many types of wildlife. The Timbers Suite private deck area and entrance through the French doors.